27573 RA5918.jpg 500X638\RA5918.jpg 27575 RA5918_1.jpg 500X638\RA5918_1.jpg 27574 RA5918_3.jpg 500X638\RA5918_3.jpg Send A Hint! 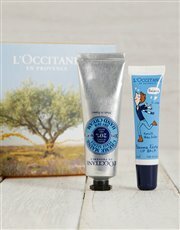 Product Description: less text Sometimes stillness is all one needs to reflect on life and be happy. 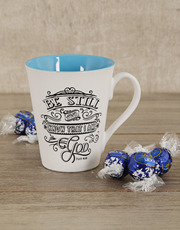 Let a loved one or friend do just that with this stoneware mug with inspirational 'Be Still' design. 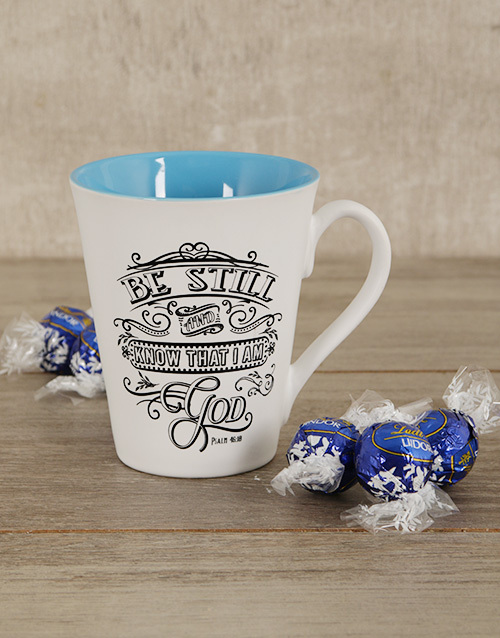 Also included, are five decadent Blue Lindt Truffles to sweeten things up. Send now with NetFlorist! 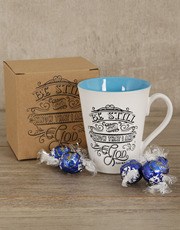 Get this Be Still Mug Hamper delivered with NetFlorist.